Since the most fertile couples will be faster pregnant the remaining population will be progressively less fertile ie a lower MFR. 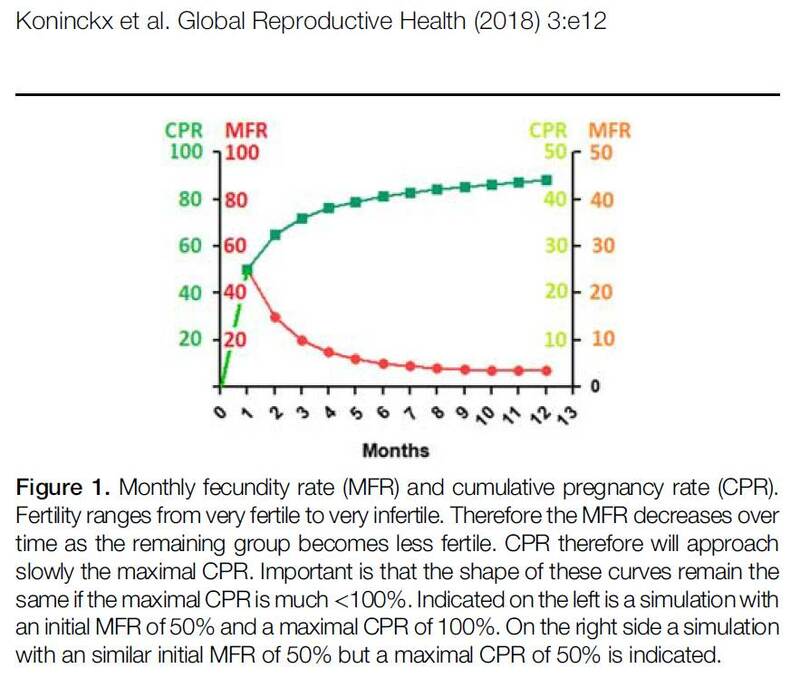 After 1 year of infertility the MFR has dropped to 10%/month. 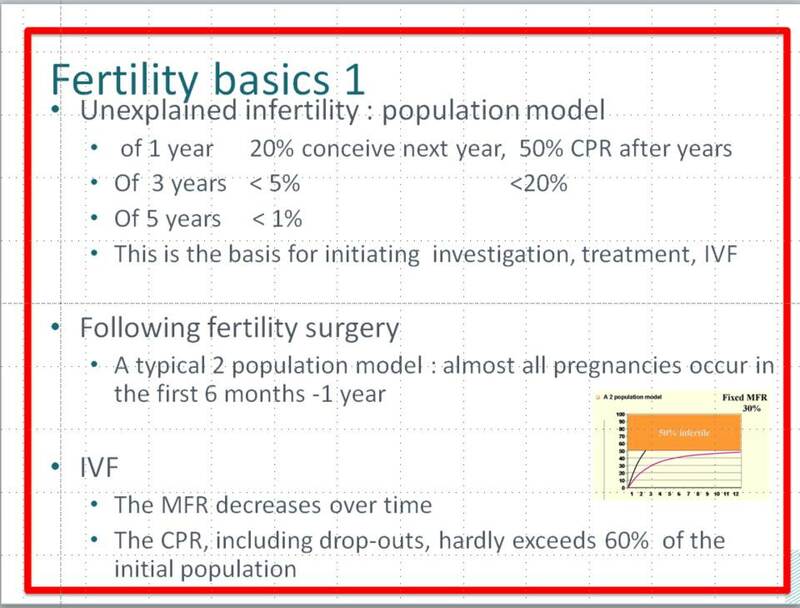 The investigations for infertility estimates the probability of conception ( MFR and CPR) . 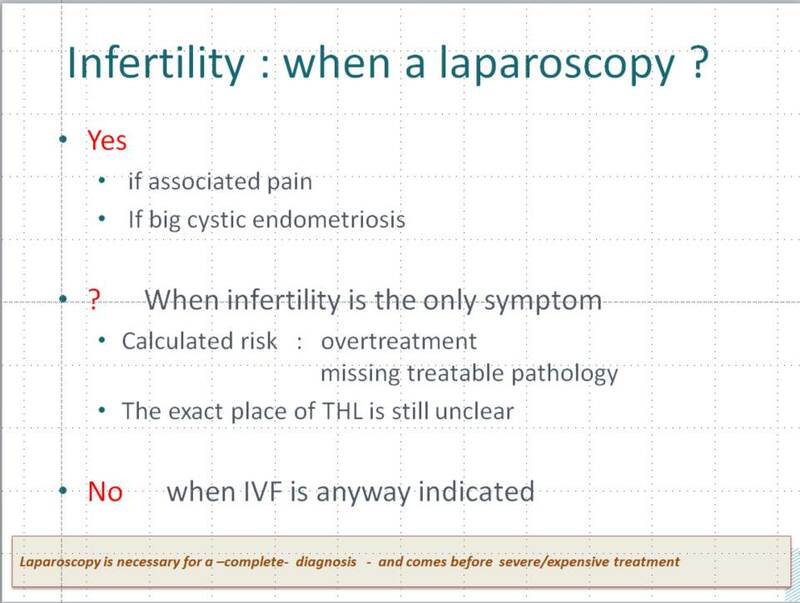 Always a diagnostic laparoscopy ? problems as LUF eventually as a consequence of endometriosis, transport problems as adhesions or tubal mucosal damage, implantation problems as adenomyosis, cervical problems as immunologic infertility and most of the male factor problems. 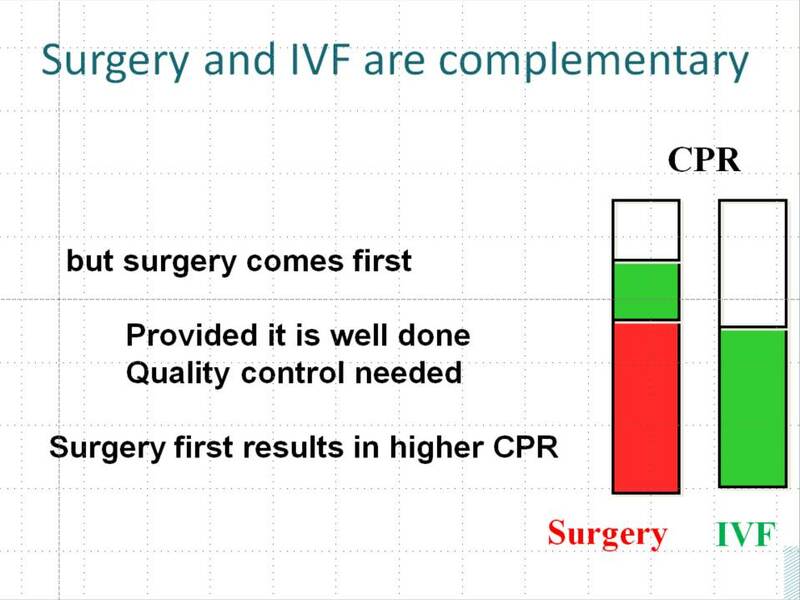 The availability and the relatively high success rates of IVF moreover have lead to an overuse of IVF while infertility surgery has become disregarded. Ideally this should be done but practically ………..
the absence of a CO2 laser : the quality of endometriosis surgery is less, and the intervention takes a longer time with more adhesions . 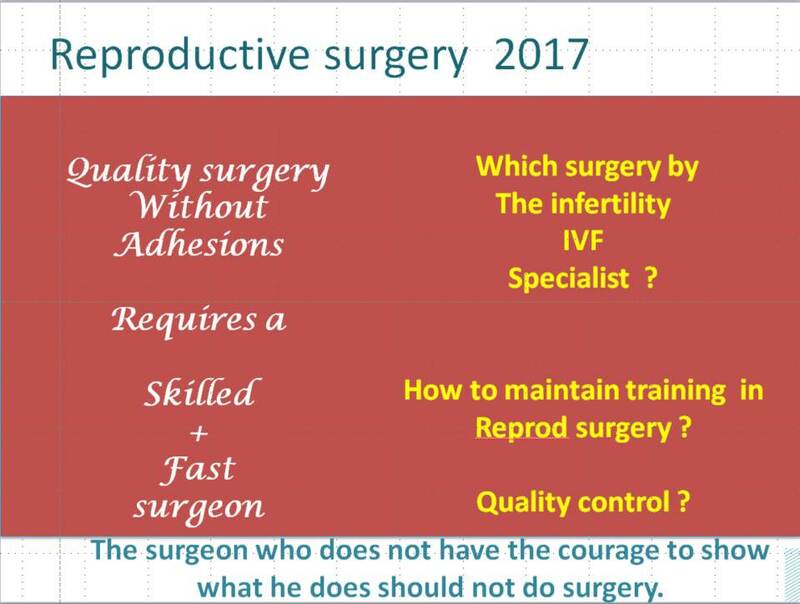 Surgery beyond the level mastered : causes damage (destruction of the ovary) and incomplete excision of endometriosis or unnecessary bowel resections and thus IVF.